Today we have an awesome Fabulous Friday challenge from the wonderful Wendy! Use the colours in this card to create another card or LO. The paper and embellishments are from this month's kit and the stamp can be purchased in the store! Can't wait to see what you come up with! For this challenge, I decided to take 2 pieces of 12 x 12 paper that I would normally have used for a scrapbooking layout and use them instead to make a card. 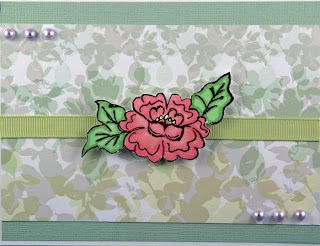 I used the Pink Paislee – Daily Junque paper found in the Scrap Shotz store. So I challenge you to use 2 pieces of coordinating scrapbooking paper and cut out different elements from it to make a card. Note: I used plain cardstock and glued on the decorated piece to give extra weight. 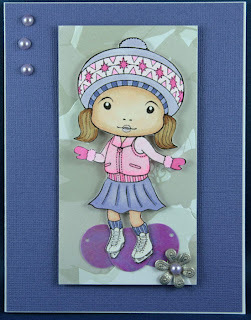 Well, I am sure you will agree that this is just one of the cutest cards you have ever seen! 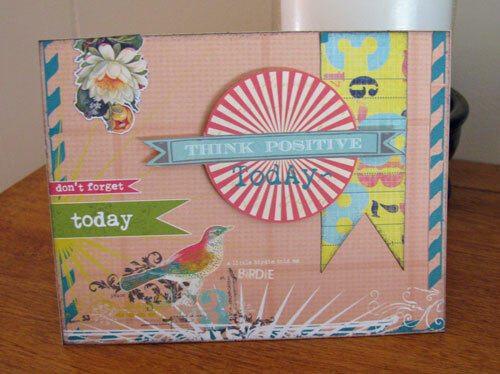 Today we have a fantastic Fabulous Friday challenge from the marvelous Melissa! My challenge for you this week is simple… Show me your sparkle! The inspiration for this challenge is all the beautiful advertisements for diamond jewellery you see in the weeks leading up to Mother’s Day. 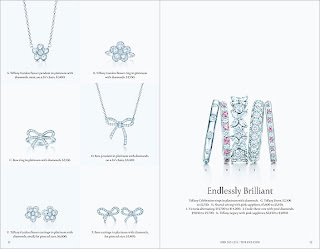 I don’t know about you, but I have wasted more than a few minutes leafing through one of those glossy flyers drooling over page after page of fabulous jewellery! Now it’s your turn to dazzle me! I would love to see what you all come up with! 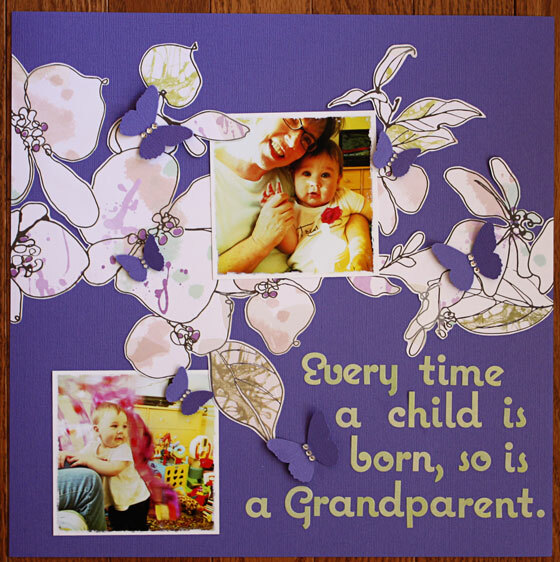 From Lorraine, don't you absolutely adore the purple with these gorgeous Grandparent photos??? I know I do! From Laura, I adore this fantastic Mother's Day card! The colours are sweet and fresh and well, amazing! From Wendy, just look at this gorgeous card!!!! The kit stamp image is beautifully coloured. 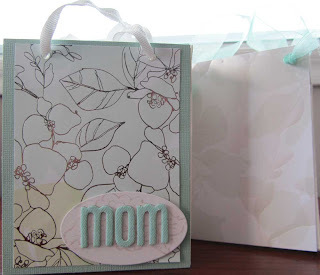 From Jennifer, I adore this beautiful Mother's Day card. The fresh greens are breathtaking. 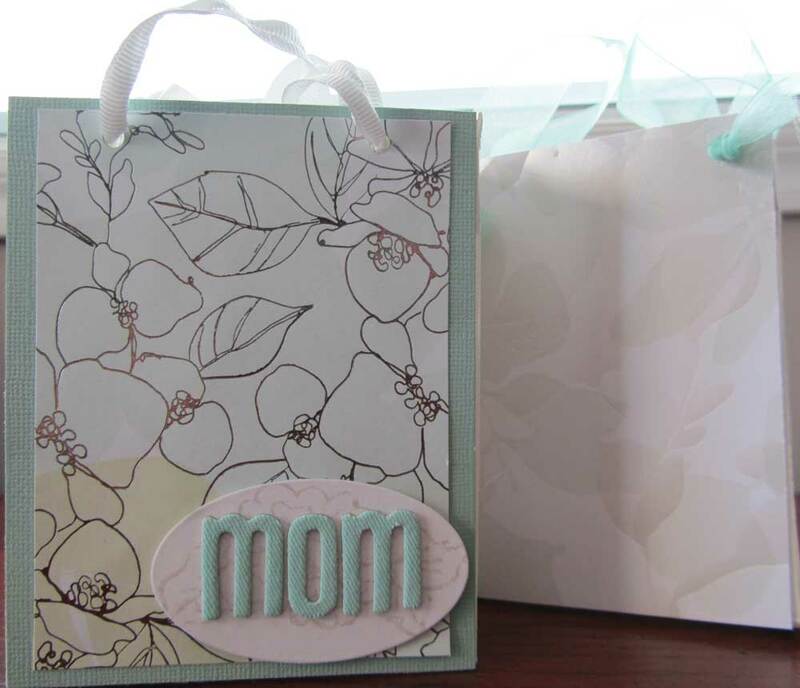 From Melissa, check out these fantastic gift bags!!! The bag itself is a gift! From Gail, doesn't this layout just melt your heart? Double joy! Thanks for joining me in drooling over the May 2011 Reveal! This layout by Corry really caught my eye this week! She's done an amazing job with the product and those totally cute photos! Thanks for sharing it with us Corry!